About a year ago, I had the great pleasure of listening to, reviewing, and even interviewing the band Khemmis. Their album Hunted in 2016, was rated the number 1 album for 2016 by Decibel magazine. When I found out they had a new album out, I jumped at the chance to give it a listen and write about it. Their new album Desolation is a great fusion of heavy tones, power metal, and elements of doom. It is an album I can listen to over and over again, and never be tired of hearing it. 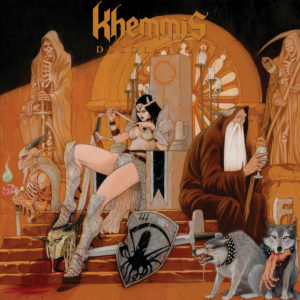 Khemmis comes out of the gates on this album setting a tone of desolation in their songs, as the album title suggests. The first song is heavy and deep to start. You catch onto the feelings of the song right away. The drums drive the beginning, harmonizing guitars dictating how the music will flow, leading into that great feeling of doom metal we all know and love. Through the album, we get more elements of power metal thrown into the mix. There are great solos that are played over more epic tones as the album begins to progress. The epic sound, though, has the undertones of devastation and despair that make the music that much more enjoyable. One of my favorite tracks on the album is the last song From Ruin. This track is a great example of their ability to play doom metal and infuse it with epic solos. You get the feeling of crawling out of the ruins to rebuild yourself just in the sounds that they create. There is a slow drive to start the song, and then they begin to speed up. The change here makes a great tone for the idea of coming from ruin. You start out bleak, filled with sorrow, anguish, and distress; but your rise up to the challenge and begin moving forward. Then they end the song back to the way it started, with the same exact feelings as crawling out of the ruins. The music is great on the tracks, but to me what truly shines are the lyrics for the songs. 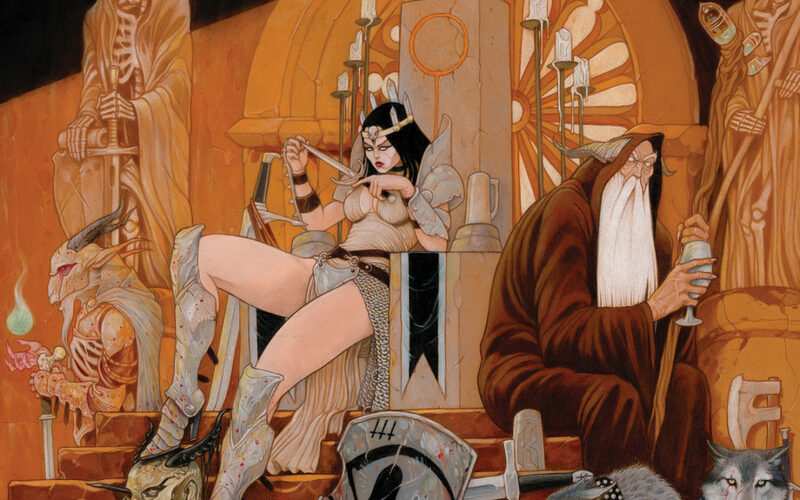 Khemmis starts out like they mean to go on through the album. The opening line of the album is “Have we gone blind? I used to sing of finding light in the darkened skies above.” The opening lyric shows how there is no light, no hope. Just darkness, despair, misery, and pain. The lyrics are powerful in every song. There is real emotion in them and it makes the songs stand out. Through the clear vocals, you get to know everything about how desolate the world can seem. It makes for a great doom sound throughout the album. Besides their normal clean vocals, I hear growls that give me chills and add to their desolate sound. So listen closely to what is being said on these tracks, you will get the feelings you need from a doom metal album. Overall the album is solid. It is a great way to spend an afternoon. It is heavy, doomy, and easy to listen to around friends who are not into doom metal or have never heard of Khemmis. I recommend you pick up this album as it could be a contender for album of the year again. I know it is at the top of my playlist right now.